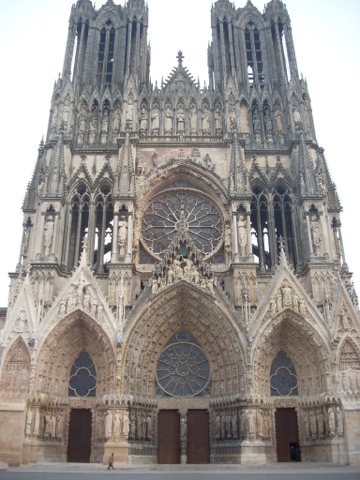 Reims is the capital of the Champagne region of France, a short 45 minute train ride from Paris. Aside from being the epicenter of the world of "bubbly", Reims also houses a spectacular cathedral which rivals the best in europe. This cathedral is also the de facto coronation site for French monarchs, making it equivalent to the French version of Westminster Abbey. Our short stay in Reims started out very groggily. We had taken a train directly from CDG airport after our transatlantic flight. After checking into our hotel we fought off the urges to take a nap and headed out to explore the city. 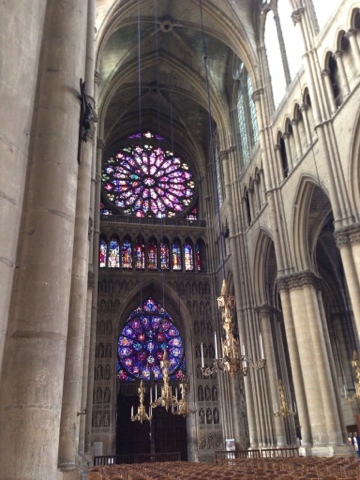 We had added Reims on as a last minute addition to our trip to Paris so we hadn't done a lot of pre trip research. Our first day we simply walked around with no real destination in mind. It is an easily walkable city. We passed the site where the treaty ending World War II was signed, saw the cathedral and then got thirsty. 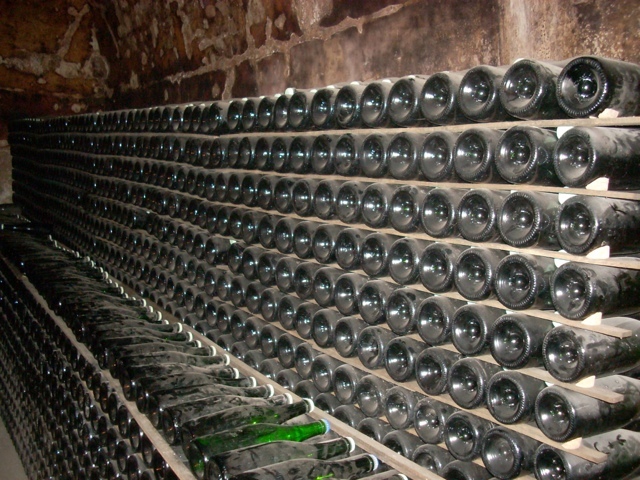 Along our stroll, we stoped at 3 champagne houses: Pommery, Demoiselle-Vranken, and G.H. Martel. 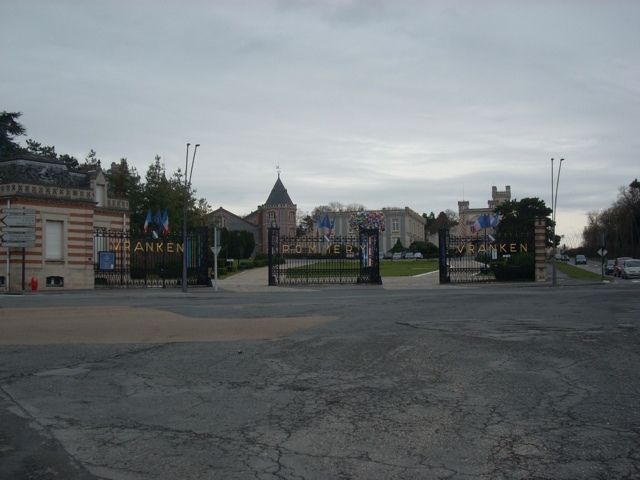 Pommery seemed very commercial and the tour did not fit into our schedule. We looked around for a little while then headed across the street to their sister house Demoiselle-Vranken. Here we had a tasting of 2 different Champagnes a Bruit and a Demi-sec. Both were very good and I thought the Brut was the best that I had during the trip. The prices at the house were actually pretty reasonable (6euro a glass) and bottles were near what one would pay in a grocery store (16-25euro a bottle). We ended our day at G.H Martel where we took a tour of the cellars. 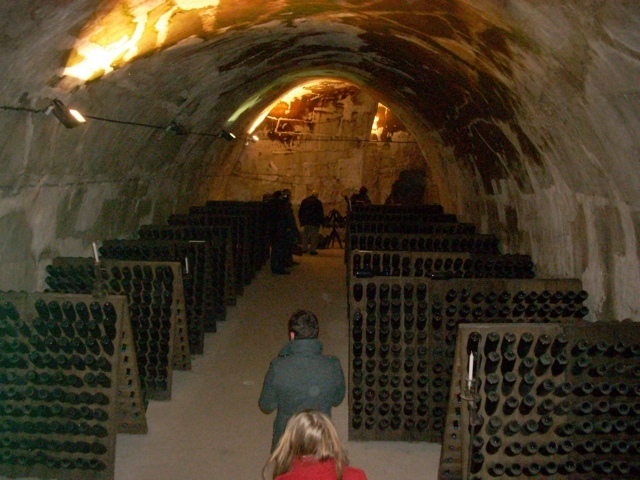 The tour was very informative however the production of this champagne has since moved off site so the cellars had only a few older pieces of equipment in them. This tour ended with a tasting of 4 different champagnes including a vintage bottle. For the admission price (about 12 euro) this was a good deal. 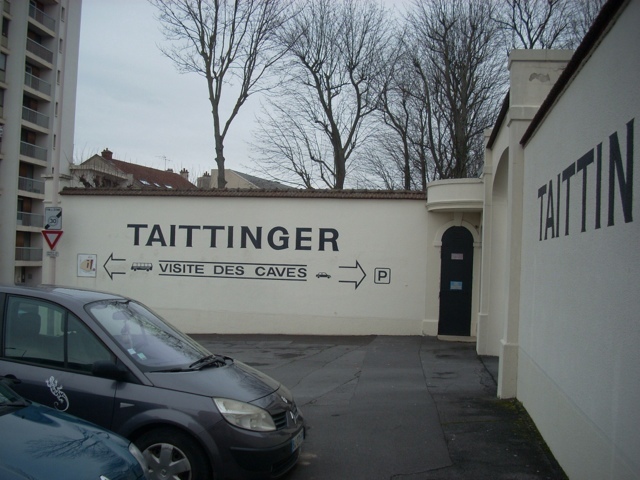 I would certainly recommend a cellar visit for anyone who comes to reims. These cellars were carved out of chalk and some of them date back to roman times when the chalk was used to make cement. 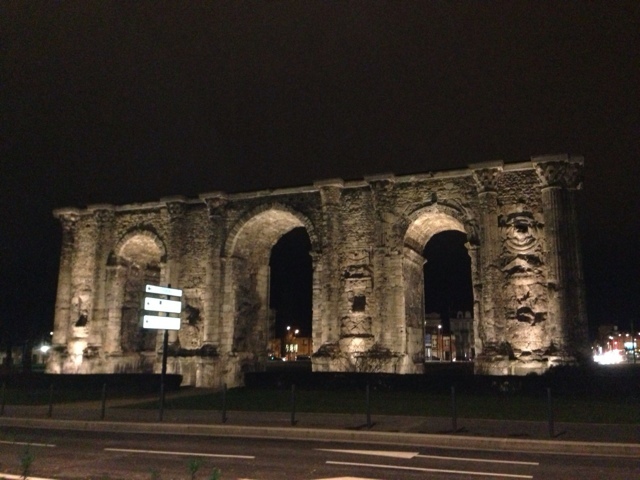 The cellars aren't the only roman ruins in Reims. There is also a Roman gate and a very nice museum at the Saint-Remi Abbey. This museum housed several local roman artifacts. 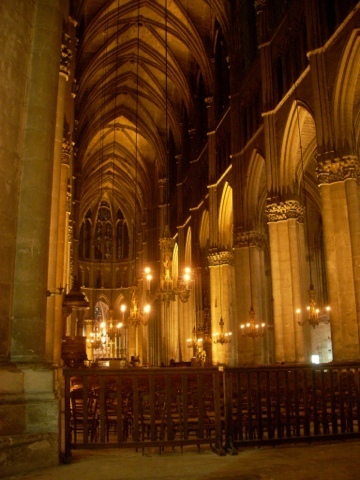 There are a total of 3 UNESCO world heritage sites in this compact city (Reims Cathedral, Palace of Tau and St Remi Abbey). Those alone would make it a worthy visit. 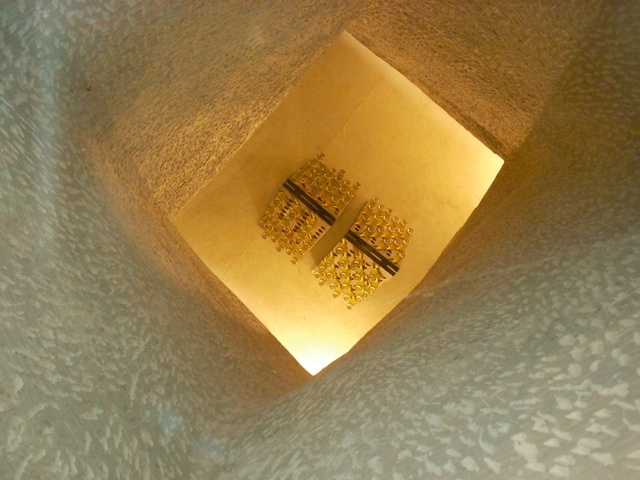 Mix in a few glasses of champagne with all that history and you have an enjoyable and convenient side trip from Paris.